Preferred members receive 20% off our products and training. If you know you will need this product every year and would like to avoid the hassle of reordering, please check the box to sign up for Auto-Ship. With Auto-Ship, we will automatically send you next year’s product when it becomes available. Please note that the prices of Auto-Ship items are subject to change. We will remind you of the products that you will be receiving as well as provide information regarding price changes prior to shipping the products. You can modify or cancel your Auto-Ship order any time before the item ships. If you do not wish to sign up for Auto-Ship please click Continue. 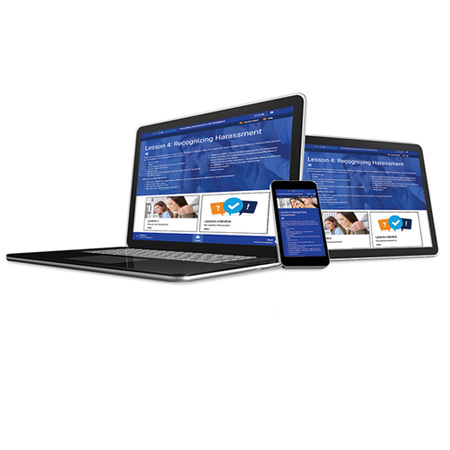 Individual learners can take their self-paced course in English or Spanish. They can also take the 2019 course using most smartphones. Compliance Alert: Effective January 1, 2019, California employers with 5 or more employees (including those located out of state) are required to provide sexual harassment prevention training to all employees before January 1, 2020. The minimum count of "5" employees includes seasonal and temporary hires as well as independent contractors. That's 2 hours of sexual harassment prevention training to California supervisors (and to out-of-state supervisors of California employees), and 1 hour of such training to nonsupervisory employees in California. 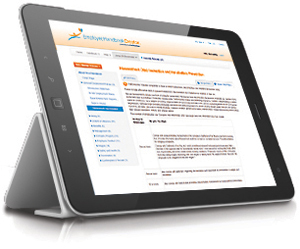 Training must take place within 6 months of hire or promotion and every 2 years thereafter. To comply with the January 1, 2020 deadline, all employees must be trained during the 2019 calendar year. Note: The California Department of Fair Employment and Housing (DFEH) takes the position that employees, including supervisors, who were trained in 2018 or before will need to be retrained again in 2019. "I thought it [the course] was very informational and very helpful for any problems that I may have as a supervisor." Click here to read more course feedback. 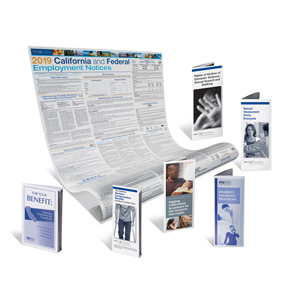 Receive a free 19.5” x 27.5” Sexual Harassment Prevention Poster for your workplace when you purchase any five California or Multi-State Harassment Prevention Training seats from CalChamber. It’s an effective way to reinforce your company’s zero-tolerance policy between trainings. Just enter Priority Code FSHMP when prompted in the Shopping Cart. Receive a free 19.5” x 27.5” Sexual Harassment Prevention Poster for your workplace when you purchase any five California or Multi-State Harassment Prevention Training seats from CalChamber. It’s an effective way to reinforce your company’s zero-tolerance policy between trainings. Just enter Priority Code FSHMP when prompted in the Shopping Cart. Shipping is free. Limit one free poster per qualifying order. Not combinable with other offers. 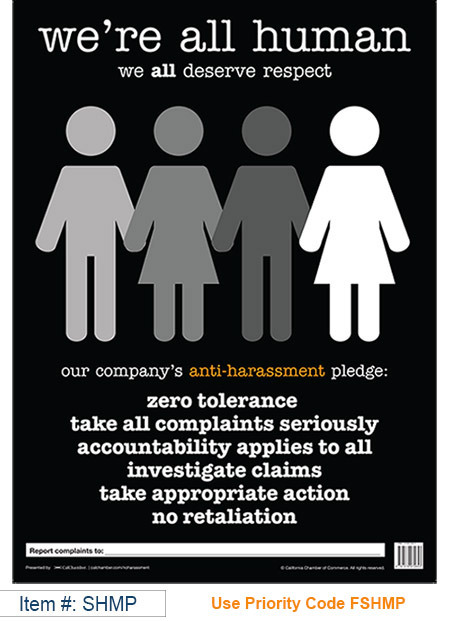 Note: This poster does not meet the mandatory DFEH posting related to workplace discrimination and harassment. Live Chat with Customer Service or call (800) 331-8877, Monday through Thursday, 8:00 a.m. to 5:00 p.m., and Friday, 8:00 a.m. to 4:00 p.m. PT. 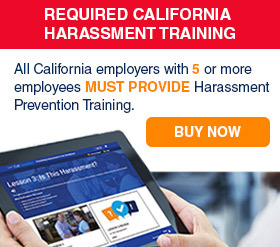 Harassment prevention training for supervisors (2 hours) and nonsupervisory employees (1 hour) is mandated for any California company with 5 or more employees. The California Fair Employment Act (FEHA) highlights an employer’s affirmative duty to take reasonable steps to prevent and promptly correct harassing, discriminatory and retaliatory conduct in the workplace. 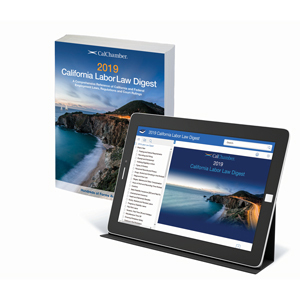 Since harassment is a major source of litigation in California, CalChamber recommends that employers with fewer than 5 employees also educate and train every employee. In fiscal year 2017, 6,696 sexual harassment charges were filed with the EEOC, with about 16.5 percent filed by men. The EEOC recovered nearly $70 million for sexual harassment victims through litigation and administrative enforcement in fiscal year 2018, up from $47.5 million in fiscal year 2017. During the calendar year of 2017, a total of 3,698 sexual harassment cases were filed with the California DFEH, totaling 7 percent of all cases filed. Harassment in the workplace can damage your employee's morale and your company's effectiveness. That's why it's so important to purchase harassment prevention training which is current, relevant and meets California's compliance requirements. 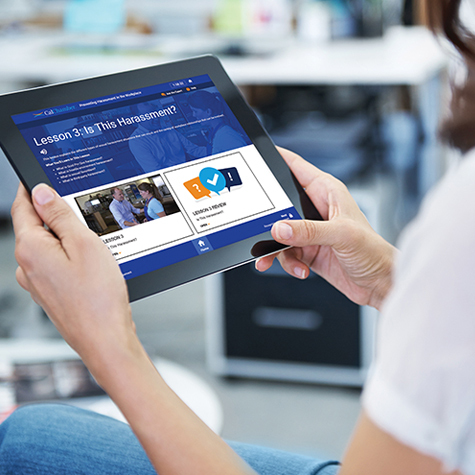 CalChamber's interactive harassment prevention training course uses compelling and memorable content that reflects harassment scenarios based on relevant and realistic workplace situations. If load times continue after applying these tips, we recommend you take the course using a wired connection from a PC or Mac computer. If you experience any problems, please contact the person responsible for training within your organization. 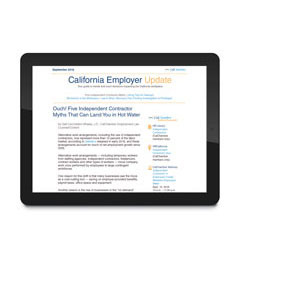 If additional assistance is required, email us at training@calchamber.com, or call (800) 331-8877. Customer Service is available Monday through Thursday from 8:00 a.m.until 5:00 p.m. and on Friday from 8:00 a.m. until 4:00 p.m. PT. Pricing Information: Since access to each course is granted upon purchase, these training courses are nonrefundable. Note: Special pricing is available for quantities over 250. Just call our Customer Service Representatives at (800) 331-8877, Monday through Thursday from 8 a.m. to 5 p.m. PT, and Friday from 8 a.m. to 4 p.m. PT. 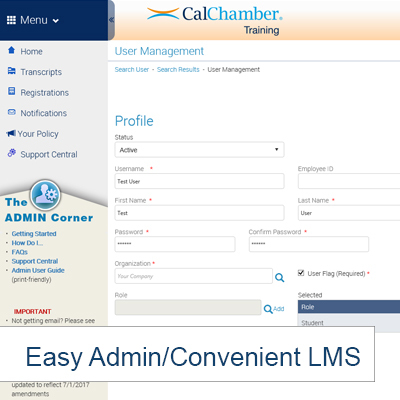 CalChamber licenses the training on a per learner basis. Each license purchased may only be utilized by one person. CalChamber prohibits the following activities, without limitation: broadcasting, displaying, sharing or in any way allowing more than one person to watch the training associated with an individual license. All training must be taken within one (1) year from the date of purchase. Any unused seats will expire at the end of the one (1) year term. 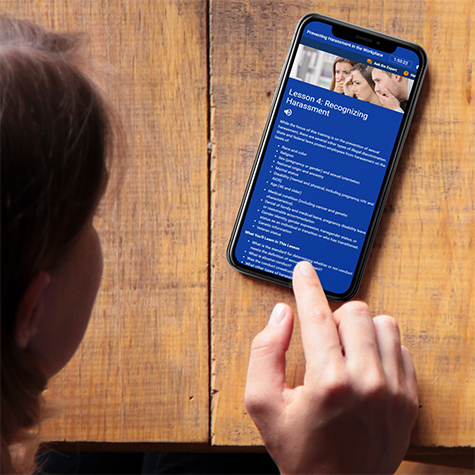 This course is approved for 2.0 California recertification credits toward PHR, SPHR, GPHR, APHR and PHR/CA through the HR Certification Institute (HRCI). The use of this seal confirms that this activity has met HR Certification Institute's (HRCI) criteria for recertification credit pre-approval. This course is also approved for 2.0 MCLE credits. Click here to download the required MCLE form. 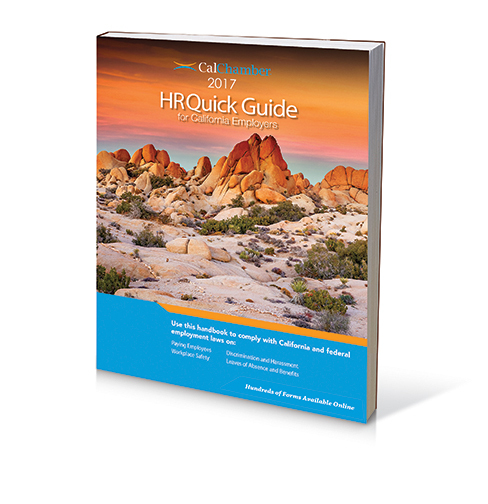 CalChamber is recognized by SHRM to offer Professional Development Credits (PDCs) for the SHRM-CP or SHRM-SCP. This course is approved for 2.0 PDCs.